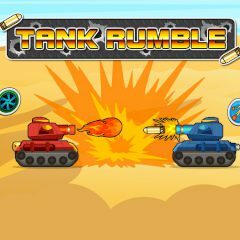 Select game mode and start playing this incredible game where you have a tank! Just move it away from bullets and kill opponents. Select your tank and game mode before you enter the battlefield and make sure that you kill opponents before your tank gets too much damage. Just enjoy shooting and killing!